one of the manufacturer and supplier of Pneumatic Packing Machine with single head load shell. Accessible with us in different models and other united specialized details, offered prevalent quality machines are fabricated by our adept experts utilizing ultra present day innovation. These machines are acknowledged for their durable development, low upkeep and high productivity. 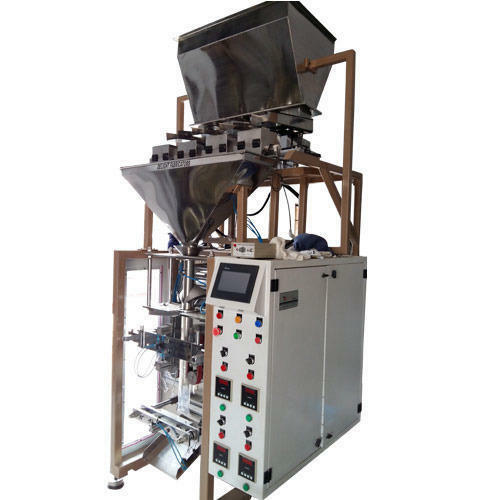 Established in 2017, we, High Packaging Industries are a proprietorship firm which is engaged in the manufacturing of high-quality Tea Packaging Machine, Automatic Chips Packaging Machine, Automatic Chips Packaging Machine With Tray Counware, Automatic Collar Type Packaging Machine, Automatic Form Fill Seal Machine, Automatic Packaging Machine and Kurkure Making Machine. All offered products are made using quality tested material and latest machines. These products are well known among our clients due to their damage resistance properties, sturdy design, perfect strength, accurate dimensions, lightweight, and durability. We are equipped with a spacious infrastructure. In addition to this, the team of our company works in closes coordination with each other and meets a lot of requirements in a stipulated time frame. For the benefit of our clients, we are offering different payment options to them like cash, DD, and online fund transfer. Also, our quality experts make sure to check all the offered packaging machines on different quality parameters to deliver our client's flawless range. Apart from this, owing to our principled trade policies and client-centric approach, we have attained a wide base of satisfied clients.